Walk In Coolers are an important food service equipment piece in most grocery stores and restaurants. When it goes down it can create a lot of issues for your business, so you need a company you can rely on 24 hours-a-day, 365 days-a-year. 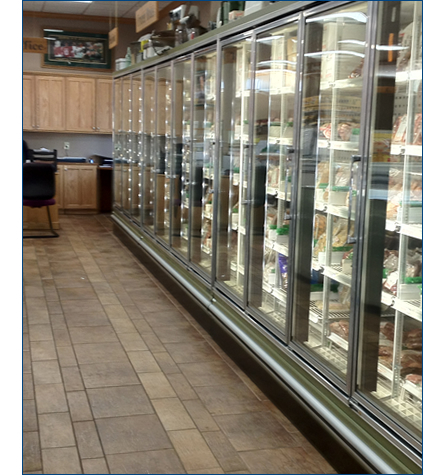 We specialize in walk in cooler repairs and service the Watertown WI and surrounding areas. We are a professional walk in cooler repair company with many years of experience. We can repair most major brands of walk in coolers and freezers and we suggest a maintenance program to keep your walk in cooler running the best at all times. We install and repair walk in coolers, so if your walk in cooler is older and may be on its last leg, we can help you choose a new walk in cooler that will benefit you and your company to get the best affordable deal. Walk In Cooler Repair of Watertown WI offers reliable service and affordable repair of your walk in coolers, ice machines, deep freezers, upright freezers and refrigerators.